Automakers continue to make advancements in the production of electric-powered vehicles. Consumer demand for EVs is inspiring automakers to go beyond the traditional compact commuter car and expensive Tesla luxury vehicle. Now car buyers have over 40 different EV and plug-in hybrid models to choose from, with more to come. And it’s not just about being energy-efficient and eco-friendly. It’s also about style and performance. 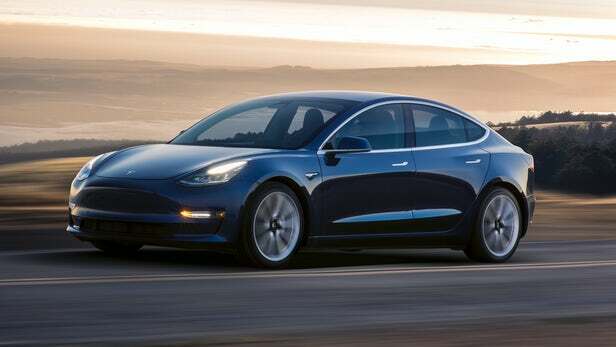 Here are 10 top electric models to look for in 2019. With a range of 124 miles, this versatile hatchback features a 7-inch touch screen and support for Android Auto and Apple CarPlay. 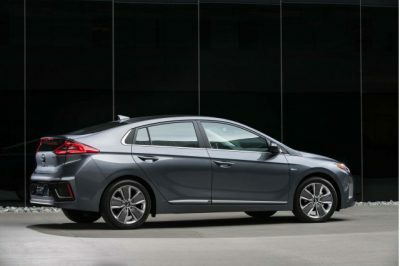 It also comes as a hybrid (gas with battery assist) and as a forthcoming plug-in hybrid. Starts at $29,500. There is much hype and excitement surrounding Elon Musk’s newest Tesla, which is designed for the masses. Finally overcoming much-publicized production woes, the Model 3 can travel up to 220 miles on a single charge (with the standard battery). It features perimeter alerts and a 15-inch touch screen. Starts at $35,000. Expect to see more SUVs joining the electric trend starting with the Generation EQ. While previous models featured Tesla power trains, the Generation EQ is the first to be totally built in an all-electric format by the manufacturer. It’s estimated to offer a range of 310 miles on a full charge and expected to start at $55,000. 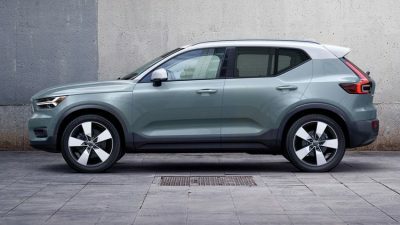 Volvo made a commitment to offering an entire electrified line by 2019. It’s first all-electric car will be this small SUV. Expected to deliver a range of about 240 miles, costs will start as little as $33,700. Volvo is working on a range of plug-in hybrids for all its other models. 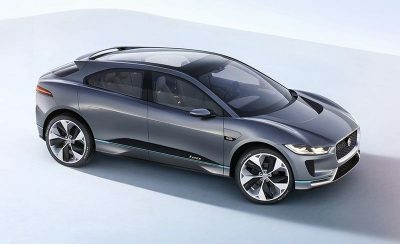 Jaguar’s first pure electric vehicle is an all-wheel-drive crossover that features style and stamina. It turns out 394 horsepower from two electric motors and can carry you for roughly 240 miles before it has to stop to charge. It also sports convenience features, such as learning your preferences in radio stations and climate settings. Starts at $69,500. 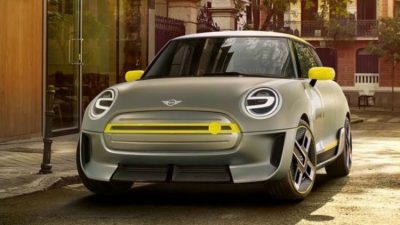 The classic MINI Cooper is getting a reboot. Maintaining the iconic design of the original, this new version will be fully electric and feature a new type of battery technology. It’s projected to have a range of just under 200 miles and will debut in 2019 with customer deliveries beginning in 2020. Pricing is not yet available. Featuring couple styling, the Audi E-tron Sportback comes with three electric motors that will boost the horsepower to 486 and move you from 0 to 62 in about four and half seconds. The four-seat cockpit features futuristic-looking displays, all operated by touch-sensitive controls. You won’t find buttons or knobs here. Starts at $39,500. 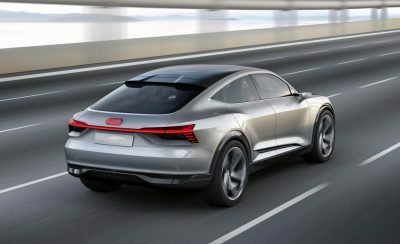 A mid-size five-seat crossover, the e-tron features a two-tier battery pack and is powered by two motors. The e-tron’s Drive Select system boasts seven driving modes that range from “comfortable, though efficient” to “distinctively sporty”. 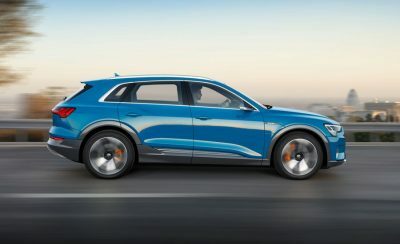 Audi claims the e-tron will offer a range of over 310 miles on a single charge and comes at a price tag of $74,800K. If you’re afraid of jumping right into an electric vehicle, you may want to consider the Outlander plug-in hybrid EV. The crossover uses two electric motors and a 2-liter gas engine for the four-wheel drive system. In pure electric mode, it will get about 30 miles of range. If you go somewhere without electricity, it can run in Battery Charge mode. In this setting, the gas engine literally turns into a charger for the battery. Starts at $35,535. 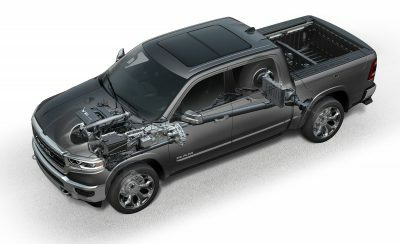 The Dodge eTorque package is considered a mild hybrid system. While it’s not totally electric, it’s a perfect example of how trucks are utilizing electric assistance to improve performance. The 48-volt package uses a belt-driven 48-volt motor/generator and 430-watt lithium-ion battery to help eliminate the clunky engine restarts that result from the automatic engine shut-off system that is designed to save fuel. Starts at $31,700. *Information was sourced from greencarreports.com, moneyinc.com, tomsguide.com and various auto industry announcements. Pricing and release dates of vehicles are subject to change. Please note vehicles may not be available in Alabama until they are released nationwide.